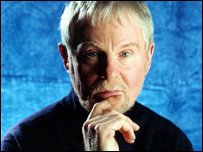 Shakespearean actor Sir Derek Jacobi is to take part in the third series of Doctor Who, it has been confirmed. The 68-year-old actor, who was knighted in 1994, is best remembered for his role in the drama series I, Claudius. The BBC would not confirm a newspaper report that he would play a character called The Professor when Doctor Who returns in the spring. Sir Derek previously appeared as renegade timelord The Master in an online version of the sci-fi series. The Daily Mirror newspaper says this time he will play a "good guy" who plays "a key role in preventing the world from ending". Sir Derek is one of Britain's foremost actors, and was among the founding members of the National Theatre. He later carved out a career in film, making memorable appearances in The Day of the Jackal, The Odessa File and Gladiator. He has also collaborated several times with British actor and director Kenneth Branagh, to whom he once gave acting lessons. In March last year, he celebrated a civil partnership with his long-term partner Richard Clifford. Doctor Who has been a big hit for the BBC since it returned in 2005, with the recent Christmas special attracting 9.35 million viewers. The third series introduces actress Freema Agyeman, 27, as the Doctor's new companion Martha Jones, following Billie Piper's departure this year.